Indian Tent has the large no of wedding and other kind of party tent if you are looking for tents then you can choose Indian Tent because they giving you are perfect party atmosphere and traditional types patterned which is delight and colors full. Aesthetic Maharaja Tent: - Aesthetic Maharaja Tent are exclusive designed and superbly decorated tents. Maharaja Tent is open every side and its very specious tents for bigger party. In this tents one things is impotent it will protect guests from the sun and rain. Aesthetic Maharaja Tent using two color cream and pink, which is beautifully folded curtain and attractive border. The total of this tents is 4m x 6m, 6m x 10m, 8mx12m 10mx15m and 12m x 18m and its water resister tents and also using a fabric sheet. 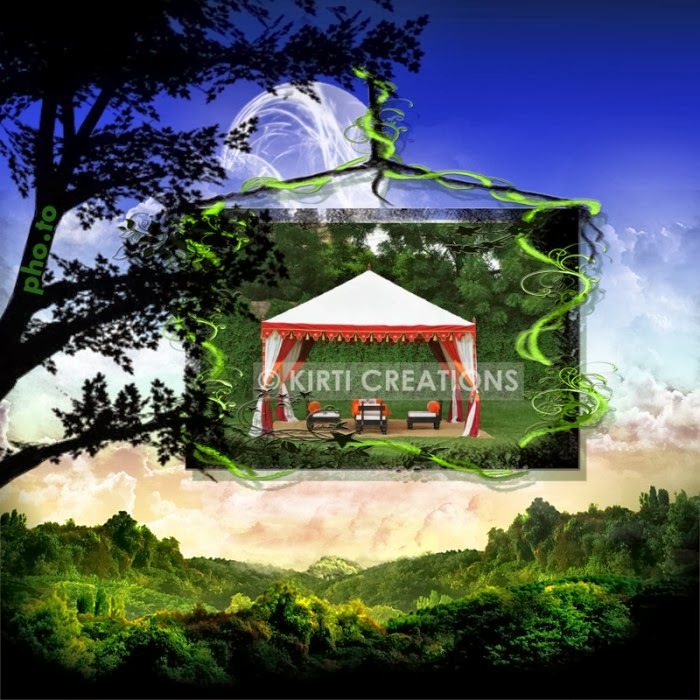 Buy Indian Tent for making party stunning. • It is waterproof tents and using excellent fabrics sheets. • It is easily install and easily remove any ground. • Perfect design and shape for front side and close back side. • Using two color cream and pink genuinely folded curtain. Indian Tent is very attractive and genuinely design tent. The manufactured of tents under the guidance of experienced and professional who ensure to utilize optimum quality material of tents. You can choose Handmade Tent according your budget from here.